At the Back Bowl we’re all about fun! 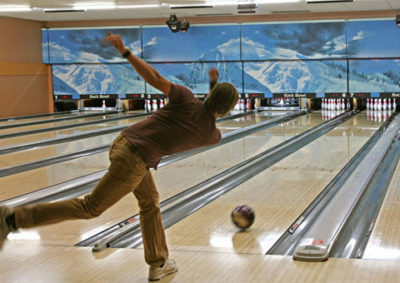 When you’re not enjoying the lanes, there’s so much more to do. We’re simply one of the hottest spots for late-night excitement. Experience an eclectic mix of music genres to dance the night away or just to relax with friends and family. Fridays from 7:30 pm to close we feature Jacque’s Karaoke and Variety Show giving you every opportunity to sing your heart out. 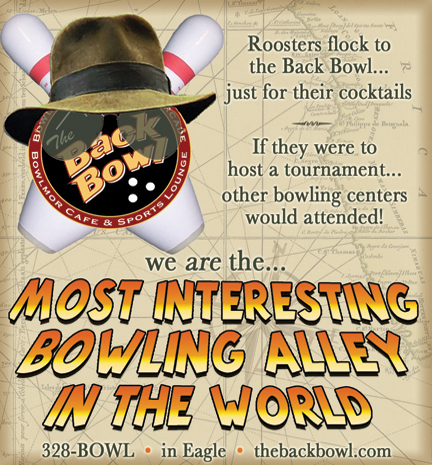 The Back Bowl is also home to the longest running live comedy series in the mountains, Comedy Night at the Bowlmor. We team up with Denver’s famous Comedy Works to offer the best in national, regional and local comic talent.